This story embodies all of the things that we, as an organization, strive for in this sport as well as for our student-athletes. This is a two-part story. The first part is about a student, Gabriel Martinez, who was heading toward a path of crime and self-destructive behavior and the rugby team that rallied behind him. 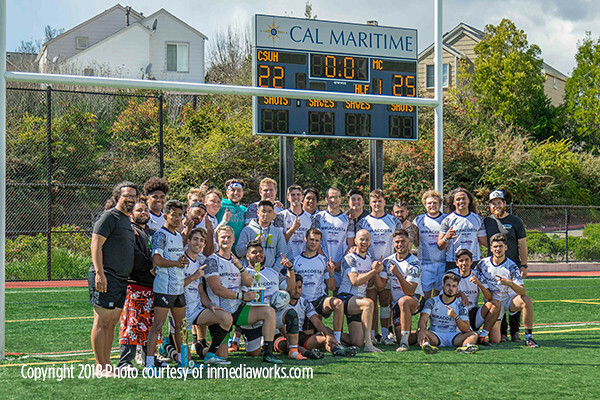 The second part is about his rugby team at MiraCosta College who, in their first competitive year, is representing their region at the 2018 Men's Challenge Cup National Championships. We'd like to thank Julie Royer King for sharing this remarkable story with us. Ms. King was Martinez's counselor at Alta Vista High School. Alta Vista High School is a continuation high school for at-risk teenagers. The word “at risk” is not to meant to convey personality problems but to describe teenagers that carry a lot of troubles with them, from broken homes, abuse, poverty, learning disabilities, underdeveloped learning skills, or social and emotional needs, neglect, etc. The challenges and troubles are often accompanied by misconduct, truancy, and other behavior which results in them getting behind in the comprehensive high school system. Alta Vista HS, developed by Vista Unified School District (VUSD) with the mission to create an environment for students to maximize their educational opportunities and develop relevant life and career skills. For some students it is a last chance to make progress. Unfortunately, the problems don't go away and many AVHS students struggle to succeed even with the extra support and attention. Gabriel Martinez came to Alta Vista HS from juvenile hall/drug rehab in 2014. He had been involved with gangs, drugs and had been arrested for fighting. He had a long history of attendance issues and was on probation for over a year. His mother sent him to previously to a drug rehab in Mexico for six months and was desperate to save her son from a life of crime and drugs. We worked with his mother and Gabriel to map out a plan to support his substance abuse, gang involvement, and anger management issues/concerns. We "assigned" Gabriel to the rugby team because we felt it would be a supportive environment for him and he needed an outlet as well as something to occupy his time on the weekends. Although he worked with family to help out at home, he said idle time was not good for him. Gabriel took to rugby very quickly and excelled. He had some challenges with emotional blackouts on the field when a bad hit was made or there was a bad call but the coach and teammates would help Gabriel calm down and get through it. Rugby embraced him and accepted him and he flourished. Every game and every practice Gabriel got stronger and stronger. He trained to be a referee for youth rugby and he went from losing his cool on the field to controlling youth parents, coaches, and athletes as a rugby referee. Gabriel graduated from Alta Vista High School in 2016 with scholarships for community college. Although it was a long road Gabriel worked hard. He has helped coach in our continuation rugby league since he graduated. There is not a doubt in my mind as his counselor that if he had not had rugby to "hold' onto, he would not have made it. He started at MiraCosta College Fall of 2016 and participated in the rugby club at MiraCosta while attending classes. It is difficult for him financially because he works full time and helps with supporting his mother and siblings. He works hard to attend school, rugby practices, and holding down two jobs most of the time. Gabriel is one of those young men that his story will never get old and when you hear him tell it you can’t help but be inspired and believe that the impossible IS possible. In 2014 a few local high school staff members, community members and students met with the MiraCosta College athletic director to talk about a rugby program at MiraCosta. 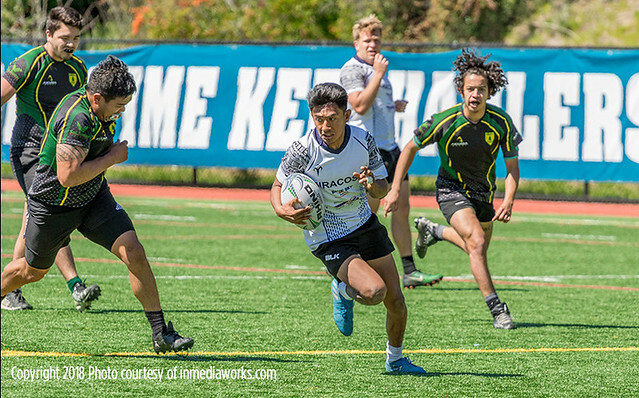 There were not any community college rugby programs south of northern California making it difficult for some students to continue to play after high school. One of the programs that would be feeding into the MiraCosta Program was two of the local continuation schools in Vista. A lot of these students/athletes never imagined themselves playing college sports, let alone attending college. Students from these continuation schools joined with other local high school students that desired to continue their passion for rugby and play after high school. They found an advisor and started a student club at MiraCosta along with a very supportive rugby community. They have successfully made a name for themselves in the National Small College Regional Championships. They will be representing the Pacific West Region at the National Championships in just their first official competitive year as a program. During this time they faced teams from some prestigious schools, and also faced some biases about being a community college. Throughout the entire journey, the MiraCosta Students kept their heads high and pushed themselves through any mindsets that they somehow did not belong there or deserve to not only be an athlete on a college team playing four-year universities but also that they did not belong in college period. One of the highlight stories is that of Gabriel who was awarded "Most Valuable Player" of the match at the National Small College Rugby Regional Championship at California State University Maritime Academy in Vallejo, CA. This young man's story will inspire anyone, and although he may have come from a continuation school and challenging life circumstances, he has used the rugby game, culture, and community to help him to be more successful not only on the field but also in life. All these young men have stories that motivate and inspire and they have used that positive energy to do what some may have thought would be impossible. Please help support them as they continue to use the very special community that we know rugby brings to all that participate and support.